Baseball field with number pendant with 1 or 2 digit number. 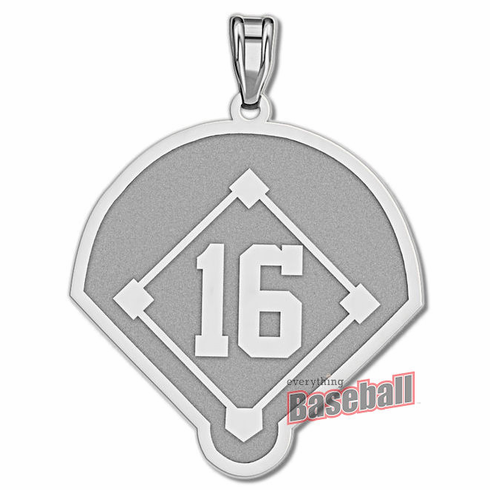 Flat charm design with your favorite baseball number. Diamond cut rope chains are available - see options on drop-down menu!